Let’s face it: It’s good to be Caissie Levy. After 13 years of Broadway musicals, national tours and world premieres, the AMDA alumna has landed more dream roles than most actors score in a lifetime: She’s played Maureen (Rent), Penny Pingleton (Hairspray), Elphaba (Wicked), Sheila (Hair), Molly (Ghost the Musical), and Fantine in the Broadway revival of Les Misérables. When not performing some of the greatest female roles known to Broadway, Levy’s out teaching students at AMDA New York, doing voiceovers for countless commercials or performing songs in concert from her debut solo album With You. The Canadian-born actress shows no signs of slowing down. 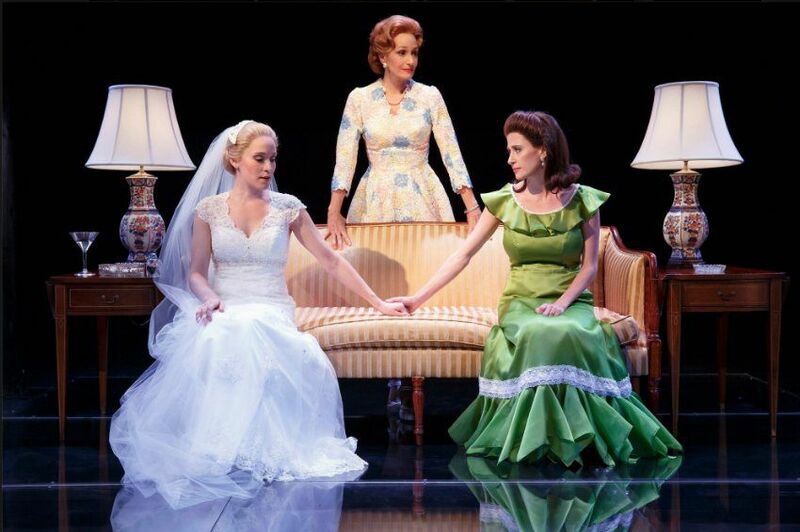 Off-Broadway, Levy joined an all-star female cast in the world premiere of First Daughter Suite (Tony-nominated composer Michael John LaChiusa). Featuring four interconnected vignettes, the musical confronts the often complex bond between mother and daughter, a relationship further complicated by the harsh pressures placed upon presidential first families. With the blaring of New York traffic still audible from her 24th-story apartment, Levy took a breather to chat on the phone with her alma mater before launching into tech week. You’re in the world premiere of First Daughter Suite! Can you tell us about the musical? It’s a really cool piece! It’s a show that explores the relationship between a mother and daughter in certain families. It’s all women—you never meet any of the presidents, but you hear about them quite a lot. Most of us are double cast, so in the first act I’m part of the Nixon vignette playing Julie Nixon, and in the second act I’m playing Patti Davis, the Reagan daughter. They’re very different roles. ... It’s the first time I’m playing people that are real, so that’s been an interesting process to explore: I’ve never had that responsibility before. What’s it like to go from playing Fantine in Les Mis to your roles in First Daughter Suite? It’s a giant switch. ... Playing Fantine was absolutely a dream come true! It was the show that made me want to be an actor when I was a little kid. It was a really cool, full-circle moment. But it was dark. Not that this show isn’t, but after doing Ghost and Murder Ballad and Les Mis for three years or so, I said to my agent: “Whatever we do next, no crying and no dying.” I had to not go there for a little while, and I’ve been very grateful: Although there’s a hefty dose of darkness in First Daughter Suite, there’s also a lot of hope and humor, a lot of different colors I get to explore as an actor. That’s been really exciting. It’s been very fast, too: We only had three weeks of rehearsal, now we’re in tech, and start previews Tuesday. It’s fast and furious—faster than Broadway, where you’d have five weeks of rehearsal and two weeks of tech. Wait. You only had three weeks to master two roles? Yeah, it’s been a beast. “Master” is a lovely thing of you to say! [Laughs.] I’ve been drawing a lot from my coaching and teaching: just to go easy on yourself and give yourself a moment to take a deep breath, because it’s very daunting. Everybody wants to be perfect. But art isn’t perfect—interesting art isn’t, anyways. So I’m trying to release that expectation and show up every day to rehearsal, do my work, be present with it and not judge myself, not let the “actor brain” take over too much. You’ve starred in five Broadway musicals, and recorded your own album. How did music take such a large role in your life? It’s funny—growing up, I couldn’t really do a lot of musicals: There weren’t a ton being produced in my high school or community theatre. ... When I got to AMDA, I really didn’t know that many musicals: I knew about five or six when I showed up. So that was a steep learning curve, ’cause everybody knew Sondheim and Andrew Lloyd Webber and all these greats, and I knew basically Rent and Les Mis and Cats. What felt great about getting to AMDA was I got this rich musical theatre education that I wouldn’t have had if I pursued a straight theatre program, which is what I had auditioned for in Canada. Music’s always just been a huge part of my life. What made you apply to AMDA? I think the musical theatre education is very strong at AMDA—the teachers are really devoted, the library is exceptional, and the resources available to you as a student at AMDA are great. The main reason I came to AMDA in the first place was that it was in New York City—it’s really hard to compete with that, because when you move here and you’re in the city where Broadway happens, you innately get an education you won’t get somewhere else in a different state. You won’t have the typical college experience...but for me, that’s what I was looking for. I found that walking down the street and seeing the Broadway marquees, learning my way around the city before I graduated, was absolutely invaluable to becoming a successful working actress. I went to all the auditions: I treated them as free acting classes, and took notes on how I did in the audition room and started to get callbacks. I learned what works, and what doesn’t. Talent gets you super far, but you have to have the tenacity and drive to show up and wake up and give your best every day—that’s what gets you jobs.